California Juvenile Courts Practice and Procedure is a comprehensive guide to juvenile court proceedings and related California juvenile laws and rules. 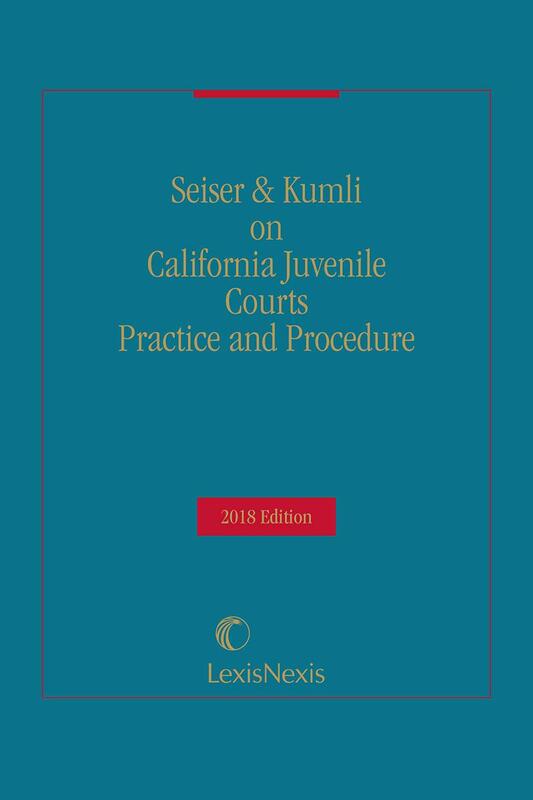 This updated edition of California Juvenile Courts Practice and Procedure is an authoritative analysis of California Dependency and Delinquency Law that is frequently cited by the California Supreme Court and the Courts of Appeal. Updated annually, this handy softbound volume contains everything you need to succeed in California juvenile court practice. 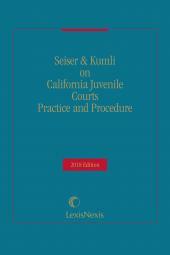 Authors and respected experts Gary C. Seiser and the Honorable Kurt Kumli have created a comprehensive analytical publication for the difficult area of law known as juvenile law, which addresses both juvenile dependency (court intervention in family child matters) and juvenile delinquency (crimes committed by juveniles). The latest edition incorporates significant changes to California juvenile laws and rules, adds practice tips, and alerts professionals to issues ripe for development. 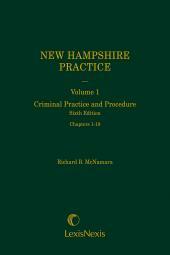 Inside you'll find over 700 pages of practical, timesaving guidance plus another 1000 pages containing the text of the relevant state and federal statutes, codes, rules and regulations. The authors have selected the code sections, rules and regulations you need every day to practice in juvenile court in California. 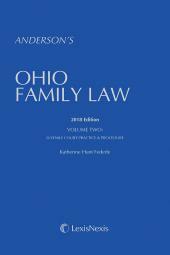 Additional contributing authors add to the wealth of information and provide more practice tips on the latest developments in California law. A Table of Cases and an Index (divided into two parts, one for dependency and one for delinquency, for more efficient use) complement the synopses at the beginning of each chapter to make analysis and authority easy to find. Gary C. Seiser is one of California's leading authorities on juvenile dependency law and practice, and was certified as one of California's first Child Welfare Law Specialists by the National Association of Counsel for Children, which is accredited by the State Bar of California, Board of Legal Specialization. In 2010, he received the L. Michael Clark Civility and Professionalism Award from the County Counsels' Association of California, Child Welfare Study Section: "For exemplifying the highest standards of professionalism and civility in advocating for social workers, social services agencies, children, and families at the trial, appellate, and legislative levels." An experienced trial and appellate attorney, he has more than 65 published appellate decisions. Mr. Seiser's writing in this treatise has been cited by the Ninth Circuit Court of Appeals, the California Supreme Court, and numerous California appellate courts. His published work also includes articles for the American Bar Association Child Law Practice and a chapter in The Handbook of Juvenile Forensic Psychology (2002). A former Commissioner of the Riverside County Superior Court assigned to the Juvenile Court and a former prosecutor, Mr. Seiser also served as a member of the SB 1195 Task Force, which rewrote much of California's dependency law through Senate Bill 243 [Stats. 1987, ch. 1485]. Mr. Seiser served as a consultant on the Judicial Benchguides for dependency hearings published by the California Center for Judicial Education and Research (CJER). He was a frequent speaker on juvenile dependency law and practice, and served as faculty for CJER, the California Judges Association, the National Council of Juvenile and Family Court Judges, the ABA Center on Children and the Law, and the National Association of Counsel for Children. After working for 28 years in the dependency system, he retired in 2012 as a supervising deputy with the Juvenile Dependency Division of the San Diego County Office of County Counsel. Kurt Kumli was a California Superior Court Judge for the County of Santa Clara until his passing in 2014, the county's Presiding Judge of the Appellate Division of the Superior Court, a former Commissioner on the State Commission on Juvenile Justice, and an adjunct professor at the University of San Francisco School of Law. He was a juvenile law curriculum advisor for the California Center for Judicial Education and Research (CJER) and served as one of CJER's primary faculty members for all matters relating to juvenile law and policy. He was instrumental in creating specialized delinquency courts for drug offenders, family violence and restorative justice, was the co-creator of the country's first juvenile mental health court, and implemented Santa Clara's juvenile deferred entry of judgment (DEJ) process, which now accounts for nearly 30% of all first-time court referrals in that county. A nationally recognized expert on juvenile law and policy, Judge Kumli taught delinquency law and policy classes throughout the United States. The National Institute of Justice chose Judge Kumli as a recipient of a John B. Pickett Fellowship at Harvard's Kennedy School of Government for Senior Executives in State and Local Government Program. Judge Kumli had been a member of the California Judicial Council's Family and Juvenile Law Advisory Committee, an advisory board member for the Berkeley Center for Criminal Justice, the Juvenile Law Chair for the Task Force for Criminal Justice Collaboration on Mental Health Issues, and a faculty member and technical advisor for the California District Attorney's Association where he chaired its Juvenile Justice Committee. He published numerous articles on gang prosecution, juvenile justice reform, juvenile mental health court and California's adult court certification (Fitness) process. LaRon Dennis is a Supervising Deputy District Attorney with the Santa Clara County District Attorney’s Office. Prior to joining the D.A.’s Office, LaRon served as an attorney specializing in delinquency law and policy with the Judicial Council’s Center for Families, Children, and the Courts, and an adjunct professor at Santa Clara University School of Law and the University of San Francisco School of Law. She previously worked as a Senior Program Associate at the Berkeley Center for Criminal Justice at the University of California, Berkeley Law School and as a deputy legislative counsel for the Office of Legislative Counsel in Sacramento. Mrs. Dennis spent 12 years as a juvenile probation officer in Santa Clara County prior to attending law school. She has authored articles on juvenile mental health issues, girls in the juvenile justice system, and the first published academic article on California’s Juvenile Deferred Entry of Judgment practices. John P. Passalacqua is certified as a Child Welfare Law Specialist by the National Association of Counsel for Children, which is accredited by the State Bar of California, Board of Legal Specialization. He has a private practice in Mendocino and Lake Counties where he is appointed counsel for children and parents in juvenile dependency proceedings. He is also the Executive Director of Dependency Legal Services (DLS), a California non-profit public benefit corporation, which represents parents in Sonoma County dependency proceedings and children and parents in Marin and Stanislaus County dependency proceedings. DLS also administers child and parent representation in Humboldt County dependency proceedings. Mr. Passalacqua has been representing children, parents, and de facto parents in dependency cases for over 21 years and was responsible for the formation and management of firms in Sacramento and Stanislaus that represented parents in dependency cases. He has also served on numerous committees that developed policy and procedures in dependency matters for the Counties of Sacramento, Stanislaus, Mendocino, Humboldt, Sonoma, and Marin. Mr. Passalacqua is a First 5 Mendocino Commissioner and a frequent presenter on juvenile dependency law throughout the state including serving as faculty at the Beyond the Bench conference and for the Dependency Representation, Administration, Funding & Training (DRAFT) program. He is a contributing author and editor for the Dependency Quick Guide, which is published by the California Administrative Office of the Courts, Center for Children, Families, and the Courts, as a reference manual for attorneys representing parents and children in dependency proceedings. Mr. Passalacqua is a graduate of McGeorge School of Law and the State University of New York, College at Buffalo. Jennifer Kaye Williams currently serves as an administrative hearing officer for the San Francisco Human Services Agency. For the prior 12 years, she was a Deputy City Attorney for the San Francisco City Attorney's Office. She initially served as trial counsel for the San Francisco Human Services Agency, and then became General Counsel to the Agency and served in that capacity for over ten years. She also handled all appeals and writs generated from the City Attorney's juvenile dependency unit. As General Counsel, Ms. Williams provided legal advice regarding the administration of the dependency division, all public assistance programs, including General Assistance, CalWORKS, and Food Stamps, and the San Francisco Adult Protective Services division. She also worked with the San Francisco Board of Supervisors on legislation impacting the populations served under these programs. Ms. Williams began her career in 1994 when she started handling dependency cases in the Riverside County Counsel's office at both the trial and appellate levels. She then worked for the Administrative Office of the Courts under a federal grant to improve statewide compliance with Title IV-E of the Social Security Act. There, she spent time in multiple California counties, working with social services agencies, probation departments, and juvenile courts, improving compliance with federal requirements in juvenile matters. She has argued before the California Supreme Court and on numerous occasions before California Courts of Appeal, and has provided training statewide for agency attorneys handling juvenile dependency matters. She continues to consult on dependency writs and appeals. Hon. Maryann D’Addezio Kotler was appointed to the San Diego Superior Court in December 2016 after serving as a public defender for 25 years. She was a deputy public defender in San Diego County where she practiced for 18 years in the juvenile delinquency division. She served as the unit’s assistant supervisor and handled cases at every stage of the delinquency process, including transfer hearings, dual delinquency/dependency matters, and writs and appeals. Prior to joining the San Diego Public Defender’s Office, Ms. D’Addezio Kotler worked for the Los Angeles Public Defender Office. She graduated from the University of San Diego School of Law in 1991. Hon. Brian John Back was appointed to the Ventura County Bench in 1997 after 20 years of private practice. He has 7+ years in the delinquency court, as presiding judge for most of those years, 6 years on the California Judicial Council Family & Juvenile Law Advisory Committee (FamJuv), and he chaired the Juvenile Delinquency Court Assessment Group which completed the first comprehensive research study of the California Delinquency Courts in 2008. He presided over the first juvenile drug court in Ventura County (beginning in 1999), and in 2003 he initiated and presided over the first juvenile mental health court in the County. He was chosen to chair the FamJuv State Juvenile Delinquency Court Improvement and Resource Group from 2008-2010. Governor Brown appointed Judge Back to the State Advisory Committee on Juvenile Justice and Delinquency Prevention in 2013. Additional assignments have included family law, guardianships, adult mental health and drug courts, domestic violence, criminal trials, and parole and Post Release Community Release calendars. In 2013-2014 he was the Presiding Judge of the Ventura County Superior Court. In 2014 he was appointed by the Chief Justice of the California Supreme Court to the California Judicial Council, the policy making body of the California Judicial Branch.